An awesome collection of 6 Christian novels about love, loss, friendships and second chance. You will be pulled in from the first page and won’t want to stop until the last page. Every story will grab ahold and won’t let go. Free on Kindle. 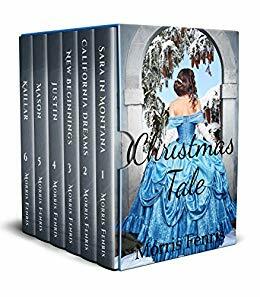 "Christmas Tale Box Set" was first posted on freebookpromotions.com on March 29th, 2019. Each day we feature new free and discounted Kindle books in the genre as well as all other genres.